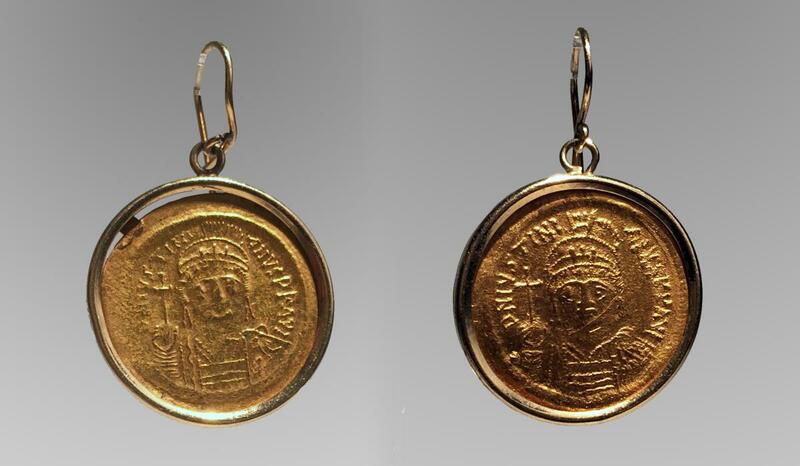 Acquired from an old English collection in the 1970's. 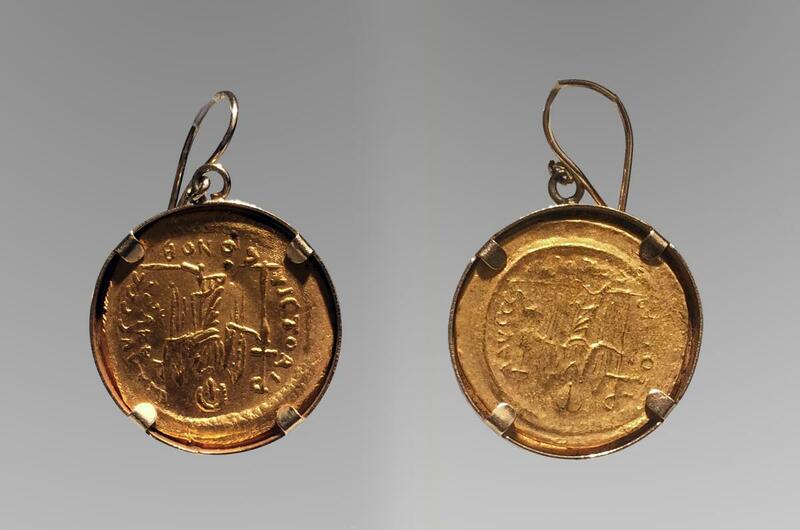 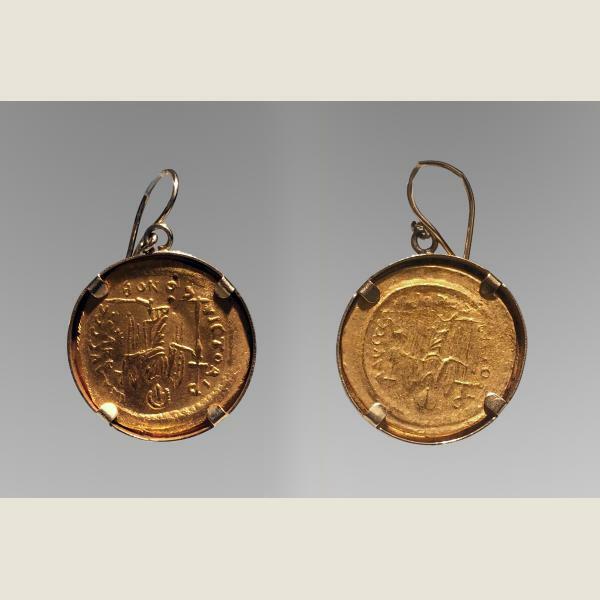 Ancient pair of Byzantine gold coins mounted in modern gold allowing them to be worn as earrings. 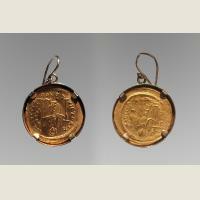 The coins are fine, very beautiful and make a real fashion statement when worn. 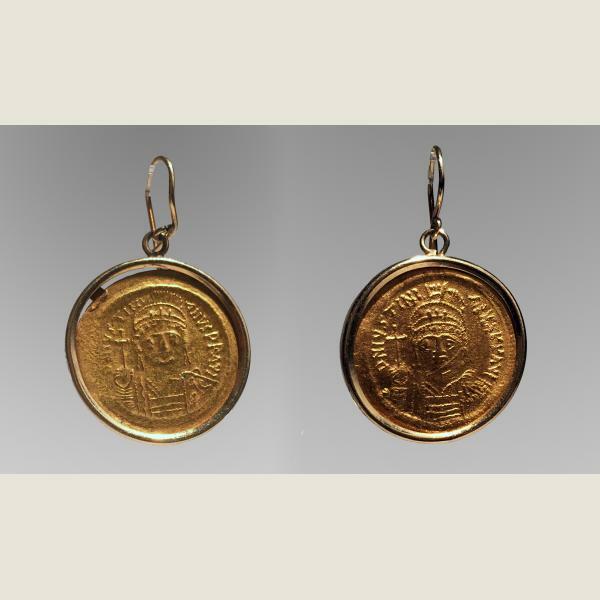 The coins have been carefully set so as to be removable; not harming the numismatic value nor quality of the fine coins.